Vernon County vital records were consistently recorded in 1907 upon mandated registration; copies are available by mail locally (the Register of Deeds in Viroqua, and the Clerk of Court for divorces) or from the state Vital Records Office of the Department of Health in Madison. Uncertified copies are unrestricted and can be requested by mail, fax, or in person (online through VitalChek). Historical records, dating from 1856 (marriage), 1863 (birth) and 1878 (death), can be located locally or at the Wisconsin Historical Society, with an online index. 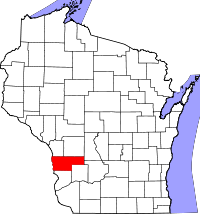 Vernon County was formed as Bad Axe County in 1851 out of Crawford and Richland Counties and renamed in 1862.